When aprons and zip-lock bags for handphones are provided, you know they’re getting you ready to knuckle down for some serious grilling at the first Singaporean outpost of the popular Korean franchise. 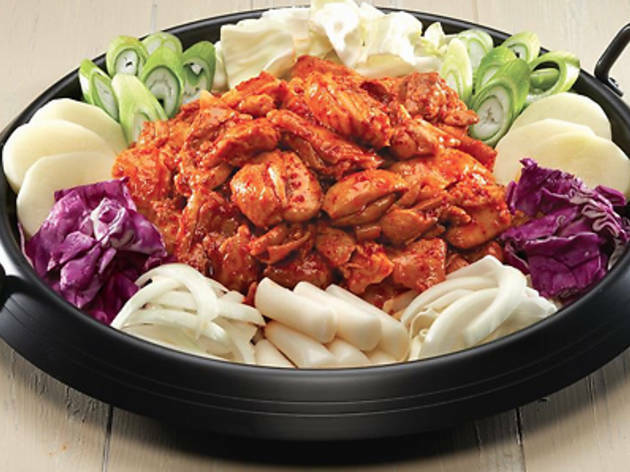 With its signature dak galbi – pan-grilled marinated chicken – as the basic ingredient, cook that and other with toppings such as rice cake topokki (in plain, cheese or sweet potato flavours), sticky noodles and cheese. 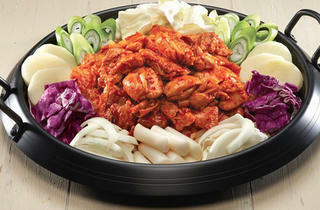 Order the chukkumi (baby octopus, $19.90) or mozzarella-loaded fried rice ($14.90) versions of dak galbi, to go with makgeolli ($7.90), a Korean rice wine.